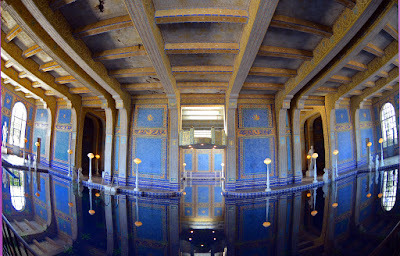 Having been to Bath, England and toured an actual Roman bath, yeah, Hearst's version thereof ain't too shabby. I guess if you got enough moola, not much is out of reach if you're willing to spend it. On the other hand, putting the tennis court underground would prevent having to chase errant serves very far, and would let you swim in the sunshine. I might have gone in a different direction on this had it been my $. 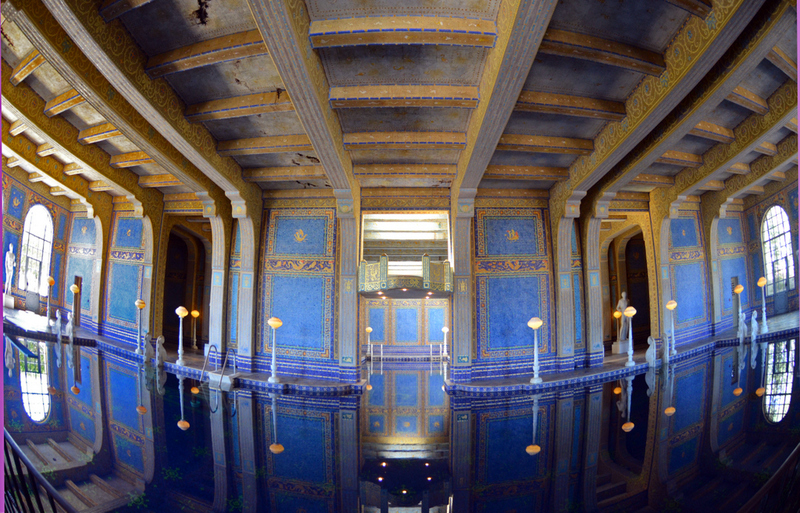 I don't know about the Roman Pool specifically, but many design aspects of the Castle were created by incorporating antiquities that Hearst imported in the 20s. There are entire ceilings that were chopped up, shipped over, and re-assembled, along with doors, windows, floors and the like. 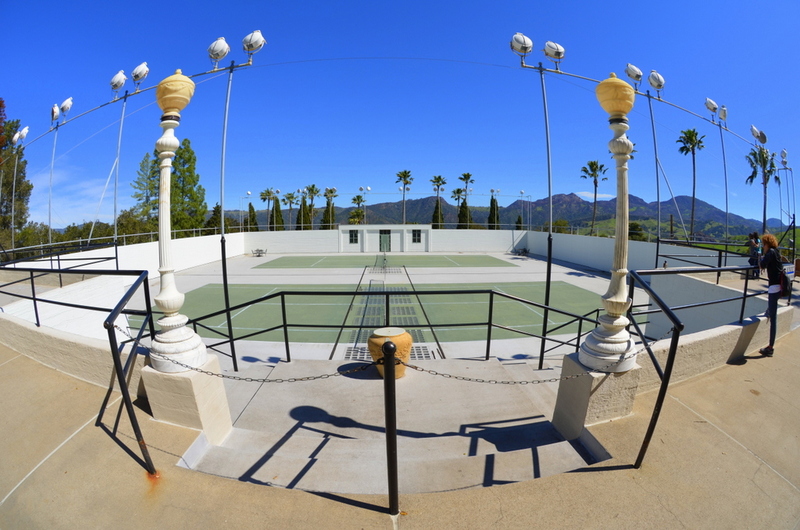 I doubt the tennis court was imported though.